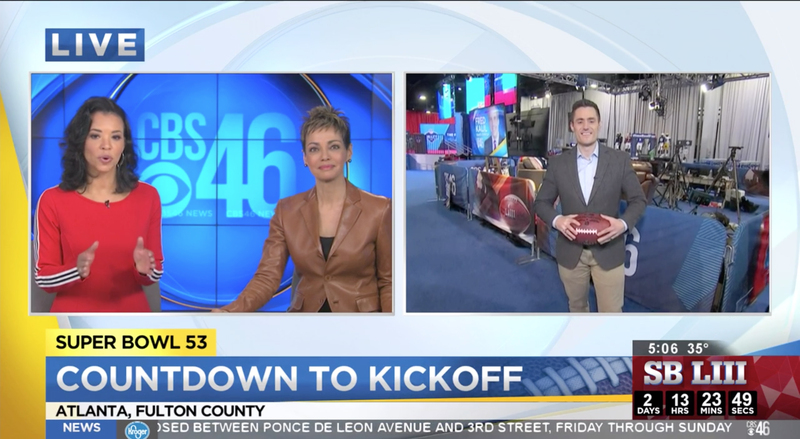 WGCL’s CBS 46 in Atlanta has followed its network’s lead and is offering extended coverage of the Super Bowl coming to its hometown. 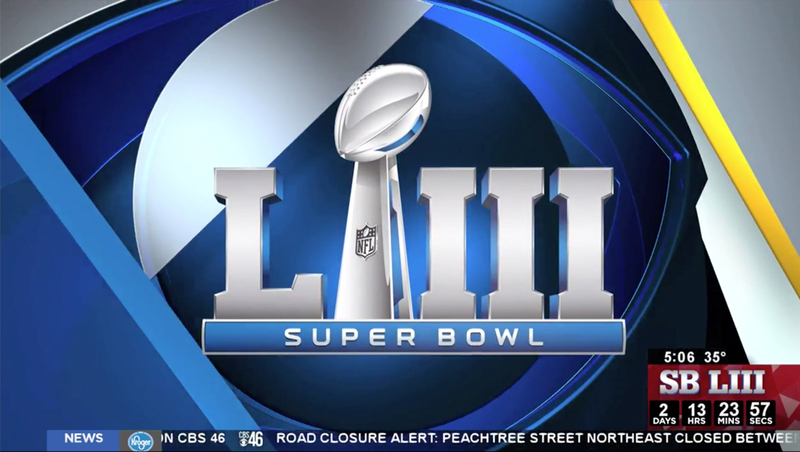 Like other CBS stations, the affiliated station can use the official Super Bowl logo, which plays a prominent role in stingers for Super Bowl featured segments. The station has added an “SB LIII” countdown to its bug — as well as the threads of a football to the background of it slower thirds during big game coverage. 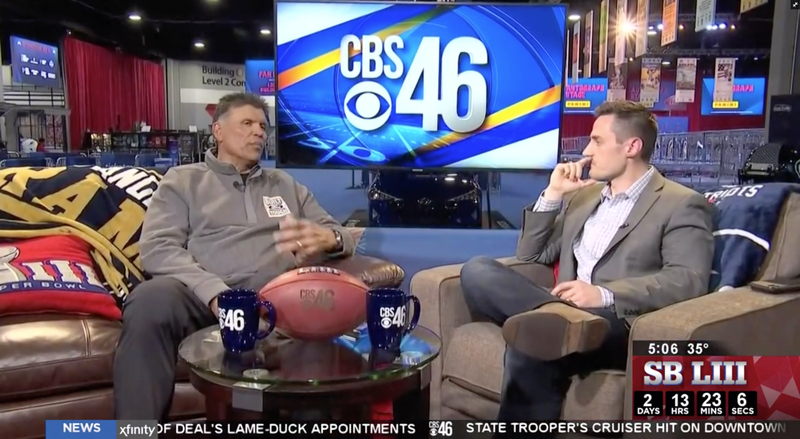 The station also set up shop inside the Super Bowl Experience, with a large lounge-like area with flat screen for branding, which is nearby the CBS Sports Network set.